The federal government has responded to the scathing criticisms launched by ex-President Olusegun Obasanjo on the Muhammadu-Buhari administration. While describing the ex-president as a patriot, the minister of information stated that the Buhari govt has made key accomplishments in the area of revamping the economy, and not just fighting corruption and tackling the insurgency. 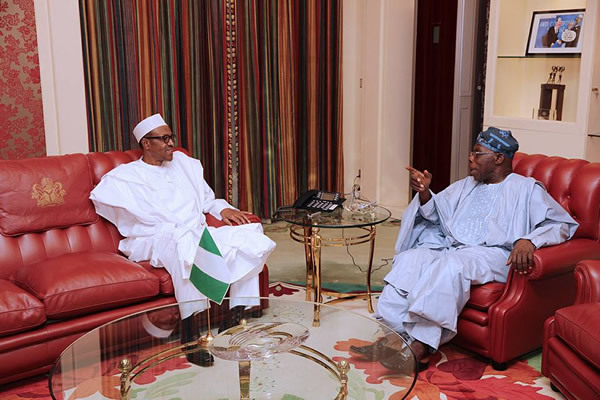 The Muhammadu Buhari-led federal government has issued a formal response to the attack on the president by ex-President Olusegun Obasanjo, NAN reports. The federal government gave its response on Wednesday, January 24, via the minister of information, Alhaji Lai Mohammed. According to Mohammaed, the Buhari administration had received Obasanjo’s message in good faith. Royalpizzle_Media notes that the minister further thanked the ex-president for his “positive comments”, even as he proceeded to set the record straight. The full statement read: “We have read the press statement by former President Olusegun Obasanjo on the State of the Nation. “Specifically, the former president said President Buhari must be given credit for his achievement so far in these two areas. We thank him for this. “We have no doubt that in the face of massive challenges in this area, this administration has availed itself creditably. “Today, most of the indices by which an economy is measured are looking up. Permit me to say, however, that Nigeria would not have exited recession through a mere order or if the administration had not made use of good Nigerians who could help. “These positive indices may not have immediately impacted positively on Nigerians, but Nigerians will definitely get a new lease of life a short while from now. “This is because the good news from the agricultural sector, which is recording a bumper harvest, will bring down the cost of foodstuffs, especially such staple as rice, and our massive Social Investment Programme will ease the pain of the most vulnerable in the society. “The result is that our rice import from Thailand alone has dropped from 644 metric tonnes to 22,000 MT in just two years. This is phenomenal. “Apart from rice, Nigeria is also doing well in other grains, especially Millet, Sorghum and Maize. We are now the second largest producer of sorghum after the US, the third in millet after India and our breweries are now enjoying local sourcing of those commodities. “For maize, we are producing 10 million tons while we need about 13 million tons for both human and animal nutrition. Nigeria leads the world in the yam and cassava production. We account for 70% of the world’s yam production. In two years, we hope to be the world’s largest exporter of yam! “Overall, our ambition is that agriculture should rise from 25% to 40% of GDP, so that we can banish poverty and overcome our economic anxiety. “Finally, our investment in infrastructure is simply unprecedented. This is because infrastructure is key to faster economic growth and development. *Negotiations on for Coastal Rail covering 15 cities from Lagos to Calabar. * ROAD: 25 major highways being funded with the N100b Sukuk Bond, and all geo-political zones are benefiting equally. “On the herders/farmers’ clashes, this administration is determined to end the crisis resulting from this once and for all, not minding the fact that the clashes predate us. We urge Nigerians to have faith in the Administration’s ability to resolve the crisis, and to watch out for concrete measures in this regard. “However, we believe this issue is a distraction for the president at this time. This is because Mr President spends every waking hour tackling the enormous challenges facing the nation, most of which were bequeathed to his administration by successive past administrations. “He is committed to fulfilling the mandate given to him by Nigerians in 2015. And that’s where we are right now.